Hi guys! I had last-minute dinner plans with a visiting scientist so tonight's post is going up a few hours later than usual. I have the last 3 polishes from the flower-inspired spring collection from Zoya to share with you, so shall we get started? Leia is best used as a shimmer topcoat (you will need at least 3 heavy coats for full coverage...I didn't have the patience). You can see the strong flashes of fuchsia, green, and gold depending on the angle and light source. I pretty much think this would be a beautiful addition to any creme polish. 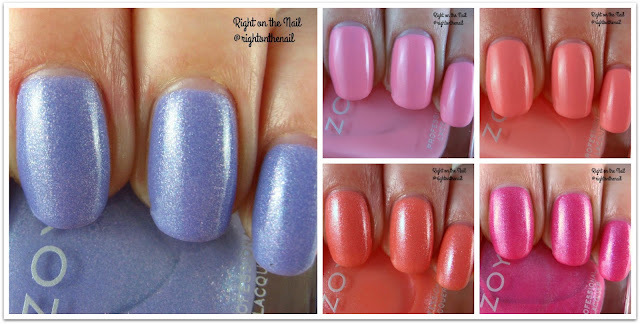 Zoya doesn't really do shimmer topcoats that often, but I'm really impressed when they do. 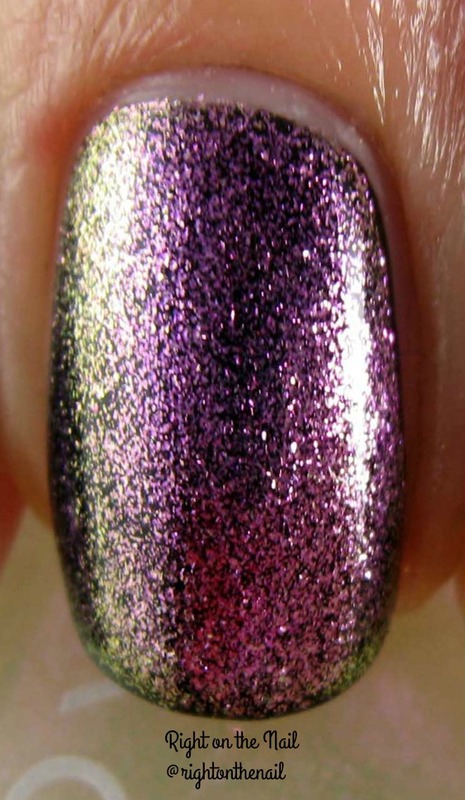 Tulip is another polish from the collection with (mostly) hidden shimmer. I think it would be best to call this a salmon pink color with a subpar formula. It was pretty streaky and watery while still needing 3 coats for full coverage. It's a nice color, but there are definitely easier polishes to deal with in this collection. And lastly we have Zahara which is a bright coral color with tons of glass-flecked shimmer. Oh man, this shimmer! This polish makes me so happy and needs to be on my toes, stat! The formula was a lot better than Tulip, but still needed 3 coats to cover my nail line. Well, what do you think? I think it's a really nice collection that is totally appropriate for spring. It may be a little too heavy on the pink for some, but that's what you're going to get when your inspiration comes from flowers (although I'm a little surprised we didn't see a yellow in here). These retail for $10 and you can find out more about them on their website, Facebook, Twitter, or Instagram pages.